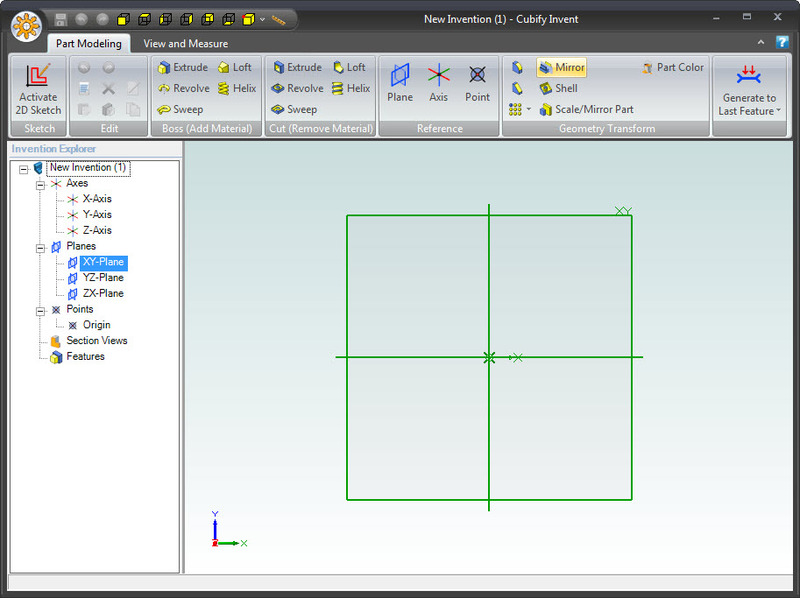 Clicking “New Invention” opens up the part modeling window. You can create sketch, extrude/revolve/whatever and have fun creating 3D solid objects using the commands on the “Part Modeling” tab of the ribbon. 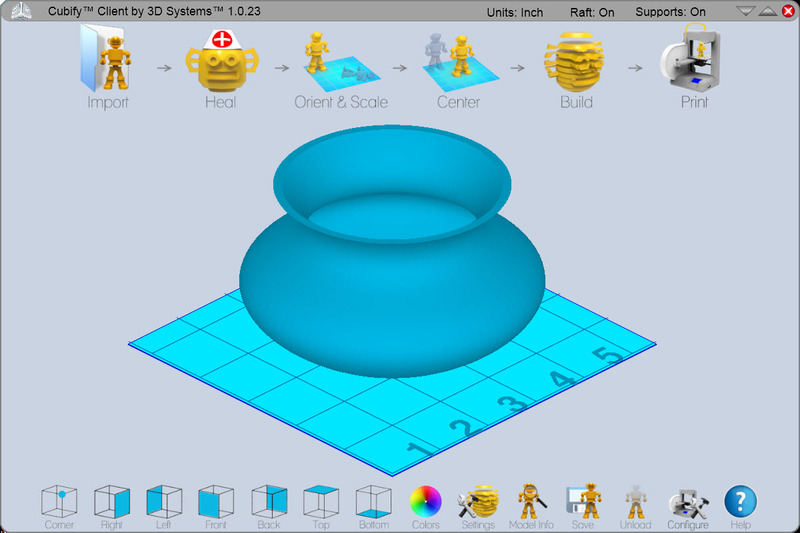 Cubify Invent can export to STL which you can import into the Cubify Client software and hit Build to 3D print your creation on your Cube. If you don’t have a Cube you can upload your creation to your account on Cubify.com and order a 3D print to be shipped to your door step or to anyone anywhere in the world. 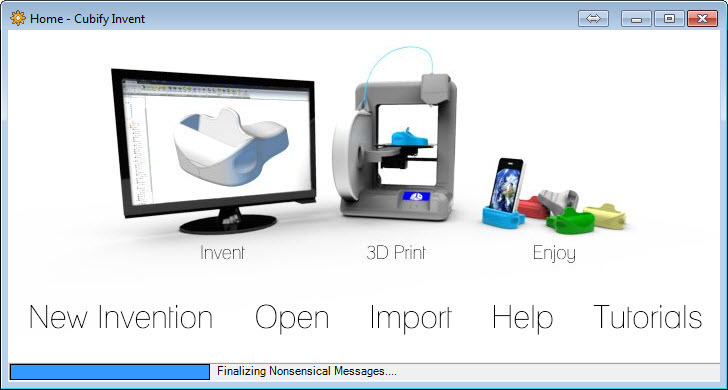 Cubify Invent can import designs in other 3D formats as well. These include IGES, STEP, ACIS SAT and SolidWorks. If you are completely new to Computer Aided Design, or for that matter history based parametric modeling, you may want to take a look at these five video tutorials. You can download a fully trial of Cubify Invent from here.